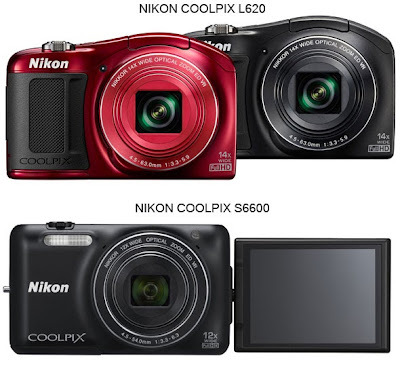 Nikon has just unveiled its two new COOLPIX models, the superzoom L620 and "connected" compact S6600. The new L620 camera sports a 18.1MP BSI CMOS sensor with ISO sensitivity of up to 3200, a 14x optical zoom lens with a 25-350mm (35mm equivalent) focal range, image stabilization system, Target Finding auto focus, full HD 1080p video capture mode, built-in stereo sound recording, and various creative filters. The new camera will be available in black and red body colors in September for $250. The COOLPIX S6600's features include a 16MP backlit CMOS sensor with vibration reduction, a 12x zoom Nikkor lens, the first in the S series tiltable LCD screen, a gesture control for taking self portraits with a swipe of the hand, video recording in up to 1920x1080/60i with stereo sound, built-in Wi-Fi connectivity, and an array of post-shot filter effects. The camera will come in four colors (white, black, red and purple). Sales of the S6600 will start in September for £199.99. Nikon today announces two new compact cameras in its COOLPIX line up: the connected Nikon COOLPIX S6600 with vari-angle LCD screen, built-in WiFi for easy sharing and a 12x zoom NIKKOR lens; and the ergonomic Nikon COOLPIX L620 with enhanced zoom and Full HD movie. Taking stunning self-portraits just got easier with the addition of the COOLPIX S6600’s vari-angle screen, specifically designed to help compose images and shoot from high or low angles, eliminating the guesswork required for taking a self-portrait picture at arm’s length. What’s more, Gesture Control allows you to shoot stills or video and even control the zoom with a swipe of your hand when the screen is in self-portrait mode. As well as enabling perfect portraits, the COOLPIX S6600 combines several features to ensure incredible picture quality in all conditions. The 16-megapixel, backlit CMOS sensor combines with the 12x optical zoom to deliver vivid photos and movies, even in the brightest daylight or in low light night time scenes. Full HD movie with stereo and optical zoom gives even more creative options, especially as the vari-angle screen can follow the action from any level. James Loader, Senior Product Manager for Consumer Products at Nikon UK, comments: “This stylish new model makes capturing stunning images easy, thanks to a combination of its intelligent technologies and convenient vari-angle screen. 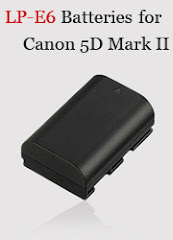 So whether you are shooting portraits or landscapes, this slim compact, with wifi capability, is a must have for budding photographers who want to stay connected. With pictures you can be proud of, the camera also has a raft of filters and effects to give them a unique touch. Quick Effect Mode can apply a special effect directly after taking a shot at the touch of a button, making it simple to add your own creativity before instantly uploading. The camera also features 30 different effects and 18 scene modes for unparalleled possibilities. A great travel companion, the COOLPIX S6600 also offers Easy Panorama, for shooting breath-taking views without complication and blur and vibration reduction (VR) to ensure your images stay steady. Available in a selection of four colours (black, red, purple, white) your camera will look as stunning as the scenery. Also announced is the COOLPIX L620, a new addition to the high zoom L series. The 18 megapixel CMOS BSI sensor, combined with a 14x wide-angle NIKKOR zoom lens, ensures the COOLPIX L620 gets top quality results every time, while its intuitive operation puts fun and freedom at the heart of photography. The COOLPIX L620 features Easy Panorama, blur reduction, lens-shift vibration reduction (VR) and Target Finding AF (autofocus), which automatically identifies subjects allowing you to point and shoot, safe in the knowledge that you’ll get the best shot possible, whatever your skill level. The COOLPIX L620 will be available in black and red.